Welcome to Beyond Elegance. Beyond Elegance is an “all-women” family business owned by myself and my three daughters. We founded the business in 2001 after my retirement from the telephony industry and my need to have something to fill the void of retirement. I have been blessed over the years that many of my family members have come to be a part of Beyond Elegance. We are also blessed that through customer support, like yourselves, Beyond Elegance has and continues to provide many jobs to other retirees, local residents, and high school students within and outside our small community. We have grown and continue to grow our business through the great customer service and quality products we rent. We own and operate our laundry facility and everything we rent – we own. By doing so, we can assure that the product you are renting is the highest quality – no rips, tears, or stains. We personally inspect every item before it is shipped. We also offer same day service – call today and we’ll ship today. We’re here to help make your next event “Beyond Elegance, yet not beyond your budget!” Call today to book your next order. Plus many other great employees to assist your needs………. 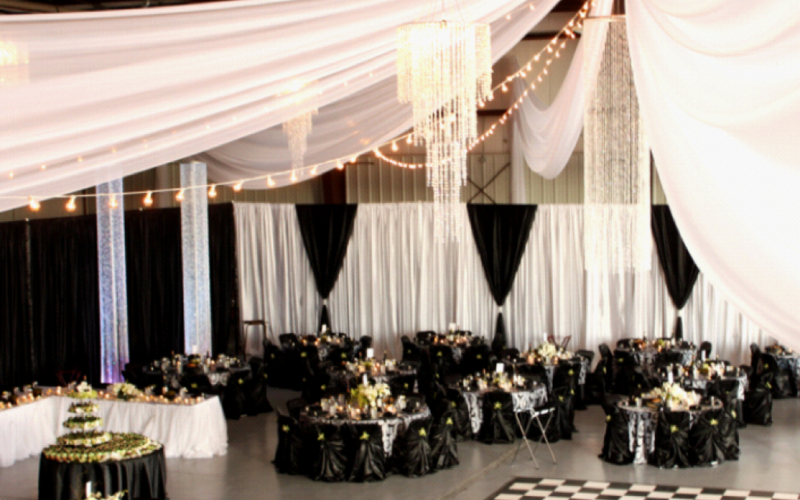 Beyond Elegance – Shipping chair covers & linens nationwide. With twice daily UPS pickup and return service we ship all over the USA. Or, if you are a local customer, you can pick up from our warehouse in New Sharon, Iowa, OR our new Showroom in Des Moines to avoid shipping costs.